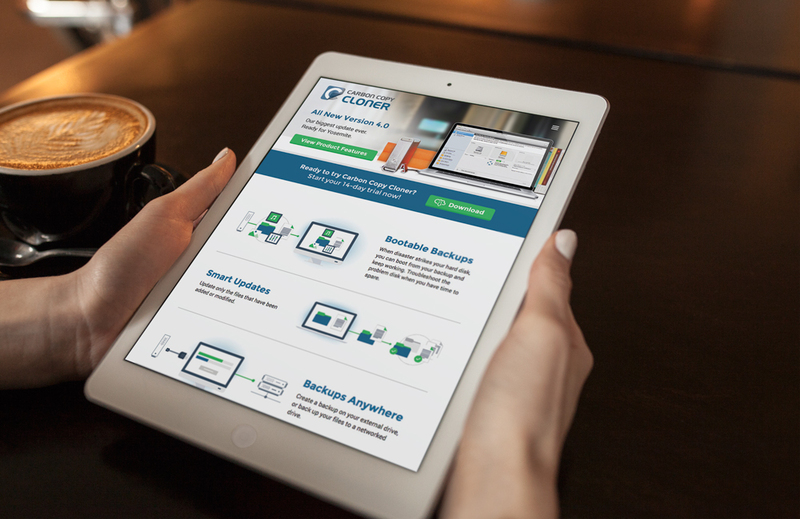 Branding and website design to help Bombich Software in the launch of version 4.0 of their Carbon Copy Cloner software. Custom illustrations highlight the product features. 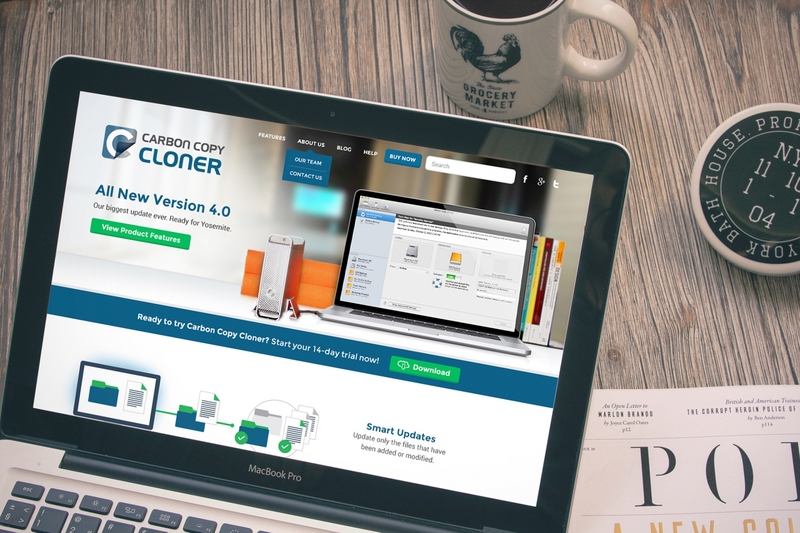 Branding for Bombich Software complements the existing Carbon Copy Cloner logo.